Bueno Aries, Argentina weather reporter, Mariela Fernandez, was talking about the weather when she noticed a metallic blip on a giant screen. While Fernandez exclaimed that it was not a plane, her co-host suggested it was a UFO. 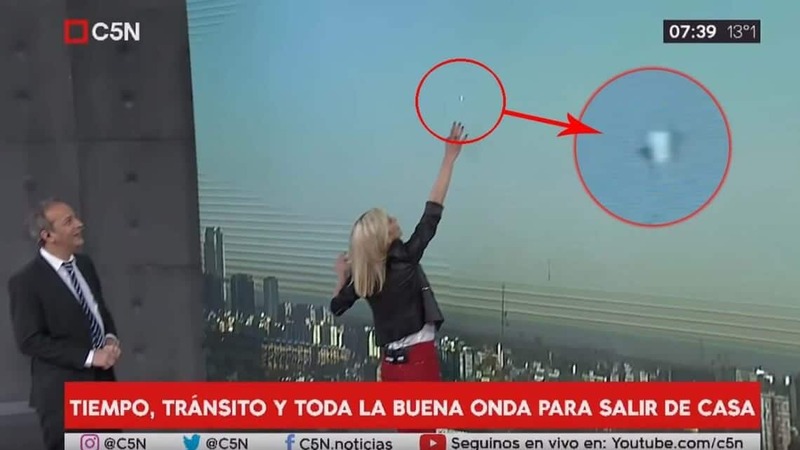 C5n’s presenter, Mariela Fernandez, was talking about the weather and the sky, with smog over Buenos Aires, when she noticed a metallic blip on a giant screen, showing a live feed of the Argentine capital. Seemingly stunned by the object climbing higher and higher, Fernandez exclaimed that it was not a plane, while her co-host suggested it was a UFO.